Saturday 14th November saw over 300 of the very best in social care attended a glittering awards ceremony at The Hilton Hotel, Gateshead, for the finals of the Great North East Care Awards, where the category winners were announced. 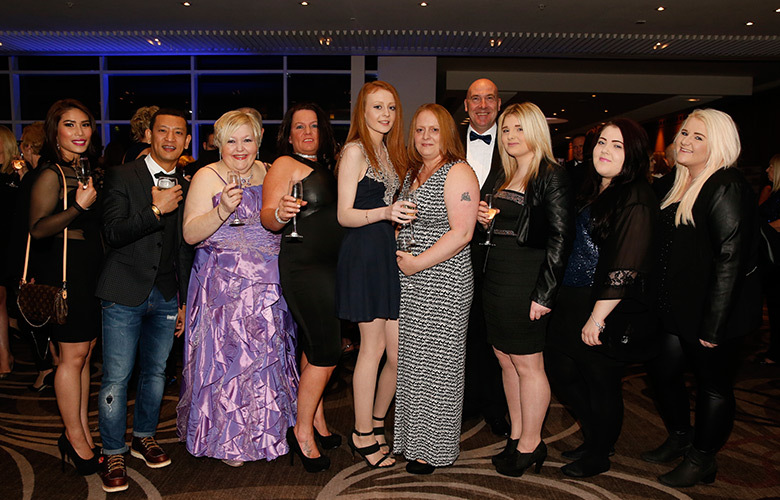 The Great North East Care Awards, sponsored by Access Health & Social Care brought together the category finalists from across the North East region. Winners of the Great North East Care Awards will go through to the final at Birmingham’s ICC in Spring 2016. In one year Amanda and management have set up My Care Services and established it well in the community. Value drives this business which has grown into a fantastic provider of care. Well done! Jean is the model of a true care worker, not only does she really care, just to encourage one smile from one of her service users means the world to her. She feels lucky to work for Anchor and is very happy to do her job to the best of her ability. A truly worthy winner. Passionate about making a difference to the lives of others. Marie goes above and beyond in providing quality, person centered care. An inspirational lady! Karlie is carrying on the familie’s passion to care. She loves her job and puts the service users at the heart of everything she does. An asset to the sector! Elizabeth is an inspiring and determined manager whose achievements speak for themselves. Her dedication to her staff and residents is clear to see. She is truly deserving of this award and it was a pleasure to hear about the good support her care home delivers. Maria has used her wealth of business and care knowledge to develop a strong, quality based division from scratch. Her enthusiasm and passion for her staff and clients under her charge shines through. Nicola’s enthusiasm for her role is truly inspiring. She is a naturally caring individual and her mission is to help residents achieve things that they never thought possible. Her view is that ‘the best is yet to come!’. This positive attitude must be such a boost to the residents she supports. Keep up the amazing work! This person has had the courage to challenge care provision standards and offer a fresh new approach. By empowering and valuing the carer, new levels of care provision can be achieved. Team working is key to overcoming barriers. Being part of Special Olympics Gateshead has been life changing, empowering individuals, giving them confidence in their own abilities to achieve their goals. Debbie is a humble self effacing individual who over many years has dedicated her life to caring for others. Well deserved! Dr Guy Turnbull who suffers from cerebral palsy has been involved in the co-operative and social enterprise sector since 1988, and is now the full-time managing director of Care & Share Associates. Care & Sharer Associates is an employee owned business he helped to found. Previously, Dr Turnbull has worked across the UK as a social economy consultant, specialising in business planning, training, and research and strategic planning. He helped establish some of the most successful social enterprises around, written books and much else besides.